The Singing Americans name has a long, storied history in Southern Gospel music. Birthed in 1972, the group was home to many vocalists who are staples in Gospel Music today. Danny Funderburk, Michael English, Ivan Parker, Clayton Inman, Rick Strickland, Ed Hill, Dwayne Burke, David Sutton, Scott Whitener, and many more graced the stage as a Singing American. 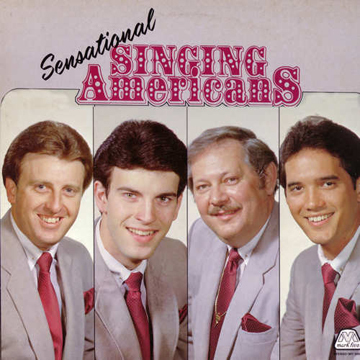 Sensational was recorded in 1982 with Danny Funderburk, Ivan Parker, Ed Hill, & Dwayne Burke. This recording of "Whiter Than Snow", written by Danny's father Bill Funderburk, was the first chart song for the reorganized group. It peaked at #5 on the Singing News chart.